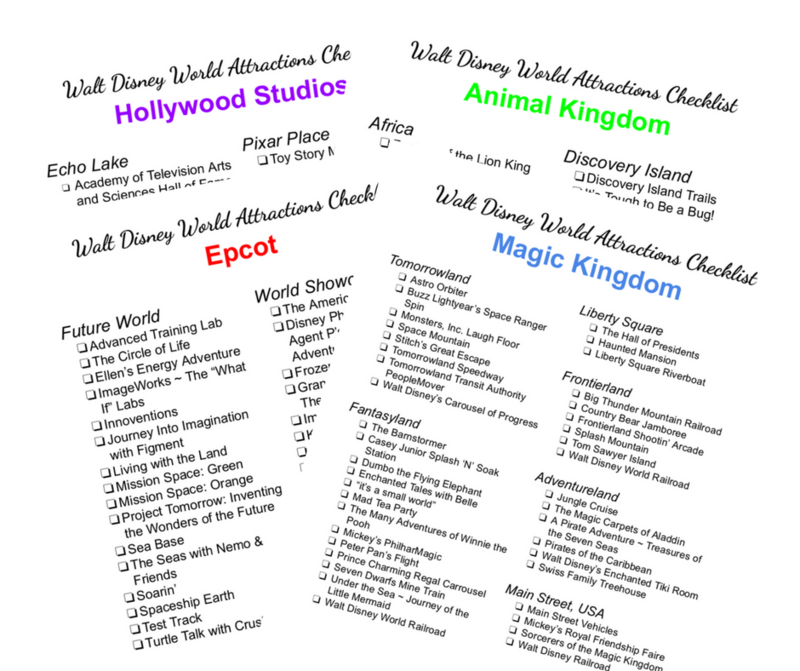 There are so many snacks available at Walt Disney World that it can be hard to decide just what to choose. 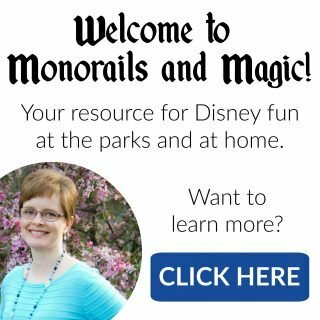 Each park offers its own amazing choices and the Magic Kingdom is no exception. But if your family is anything like mine, you find yourself looking for basic snacks at the parks. 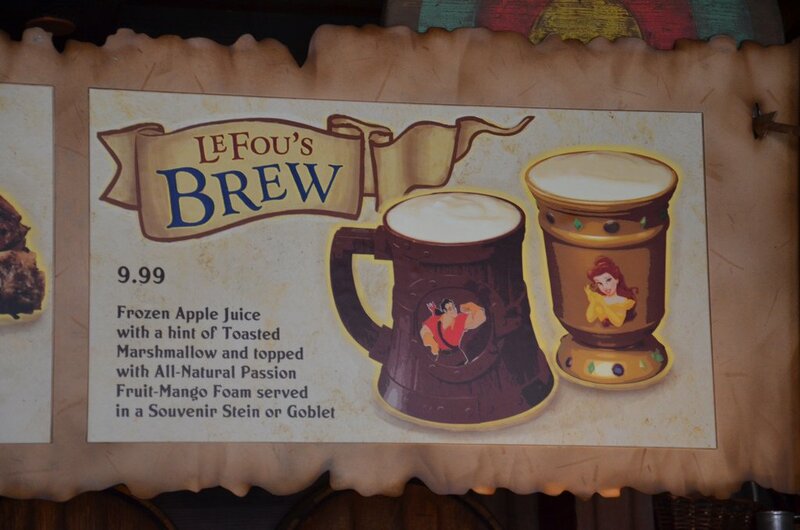 Fortunately, there are Magic Kingdom snacks your whole family will love. When we are at the Magic Kingdom, my family is not interested in Dole Whip floats or sweet cream cheese pretzels (much to my dismay). They love simpler snacks that can satisfy even the pickiest eaters. 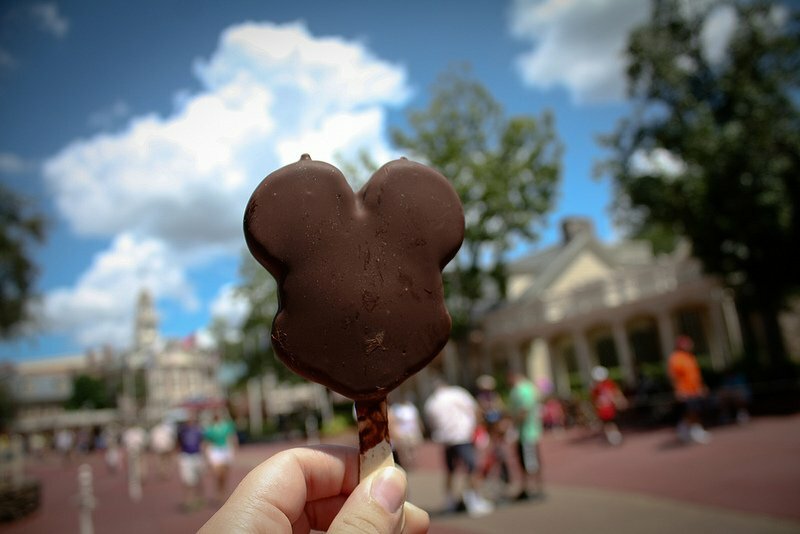 If your family is like mine, take a look at some of our favorite Magic Kingdom snacks. 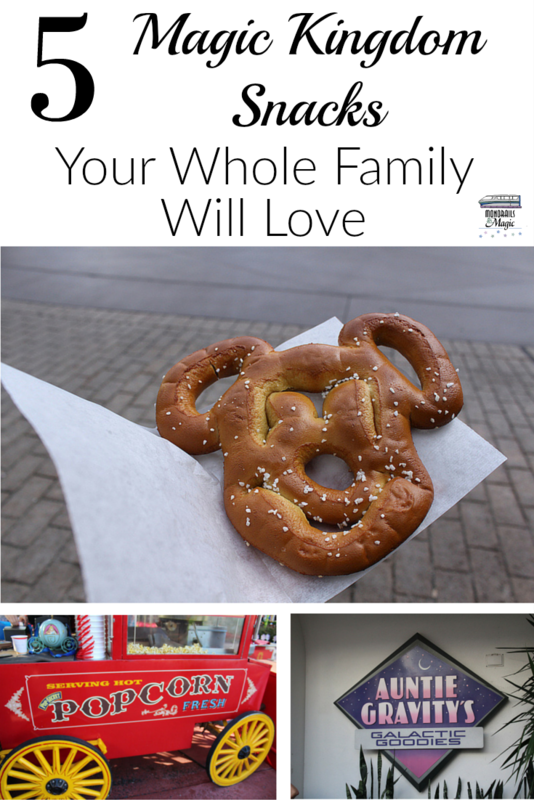 Soft pretzels are a popular snack at the Disney parks and a favorite of one of my boys. I think we tracked them down at every single park on our last trip. 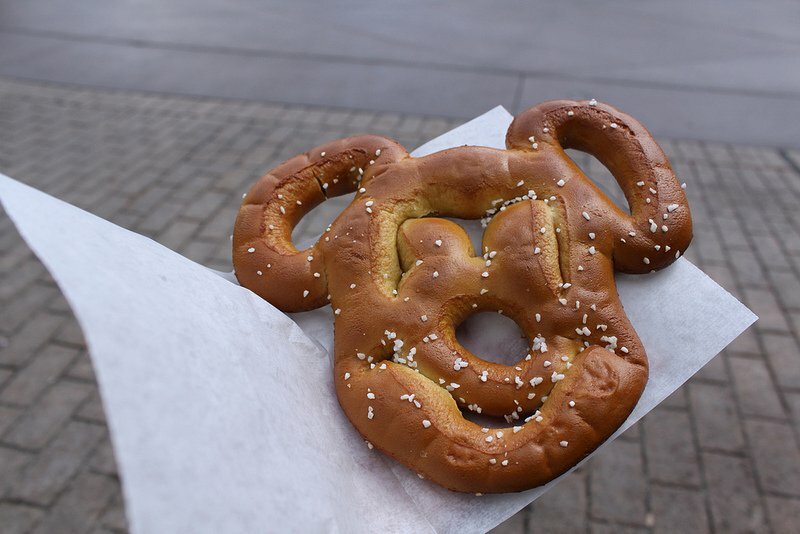 And what could be better than a soft pretzel shaped like Mickey? 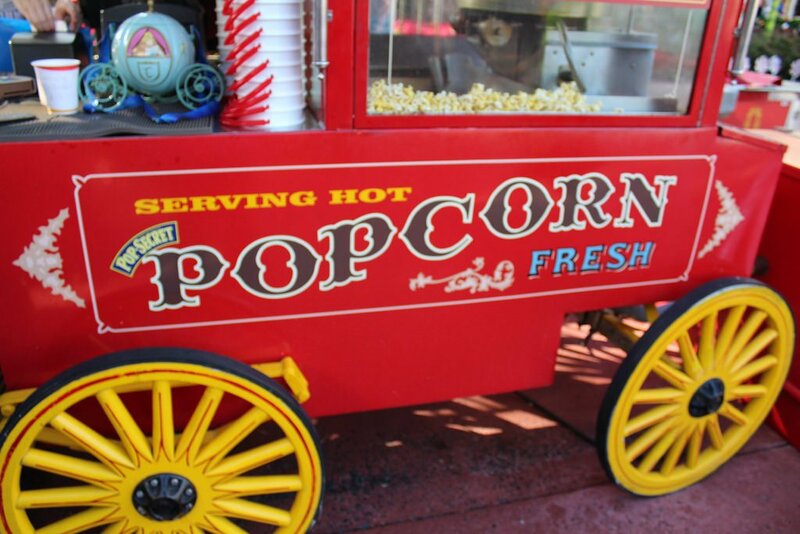 Even though you can get popcorn just about anywhere nowadays, there is something special about the popcorn at the Magic Kingdom. Maybe it’s because it can often be purchased in a fun souvenir bucket. And then there’s the smell. Just try to walk past a popcorn cart without buying some! 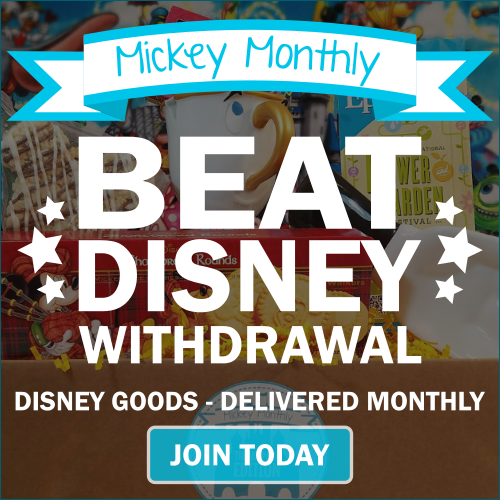 An ice cream bar shaped like Mickey? Yes, please! This snack is a must for many families visiting the Magic Kingdom, including my own family. Maybe you’re thinking that a frozen drink isn’t really a “snack.” But when you are hot and tired and thirsty, there is nothing better than a frozen drink. Soft serve ice cream is a must-do for us on every trip to Walt Disney World. Several times during each trip. It’s the perfect snack for when you need to sit and relax for a few minutes. 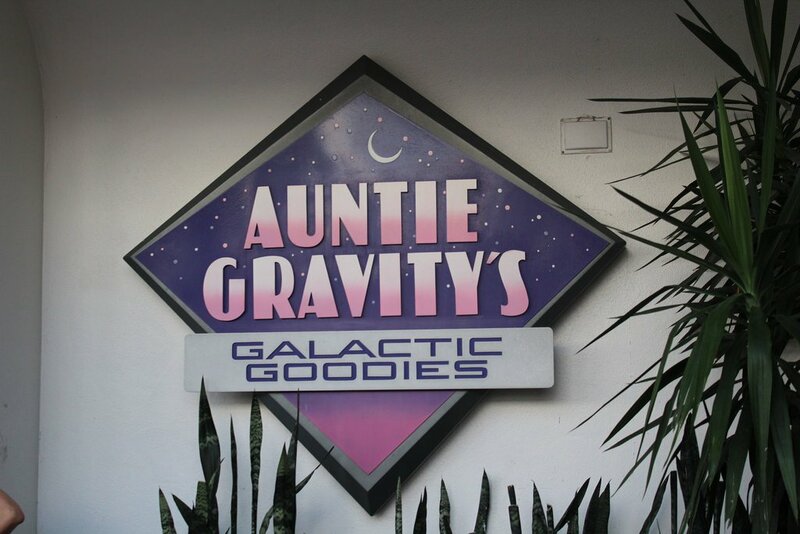 We have sat outside of Auntie Gravity’s eating ice cream many, many times and I can’t wait to do it again. I have been know to have one of the smoothies from Auntie Granity’s for breakfast Perfect light way to start of the day. I don’t know what it is, but the only popcorn I buy has to be bought on Main Street. I’m convinced it must be sprinkled with pixie dust. There’s just nothing like it. We have a tradition in our family while visiting the Magic Kingdom on the first night. We always buy a souvenir popcorn bucket and eat it while waiting to take the bus back to the resort. 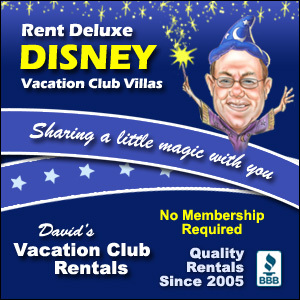 I went to Disney when I was little but I haven’t been since. The pretzels areally adorable. I want to go but I don’t have kids. I think it weeks be a lot of fun. I absolutely love the Disney princesses. Belle is my favorite though. Yum, now I want ice cream.